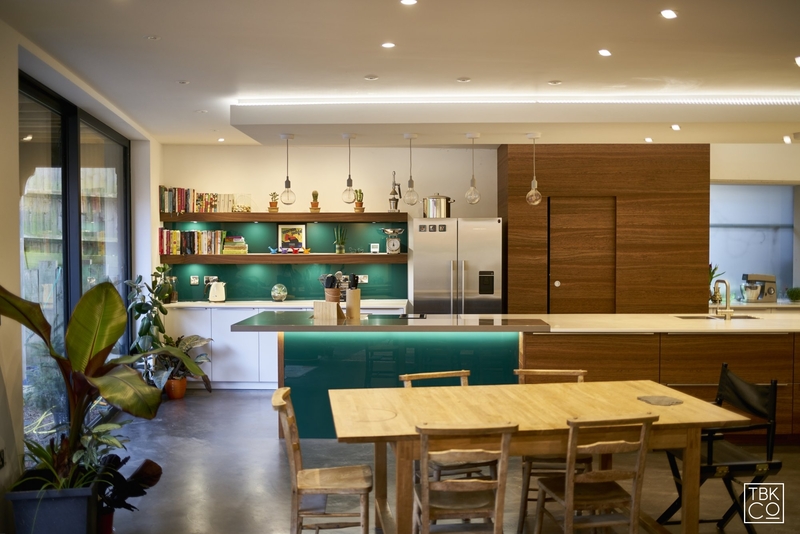 Stylish, contemporary kitchen with green glass accents, bespoke Corian worktop and walk in pantry. 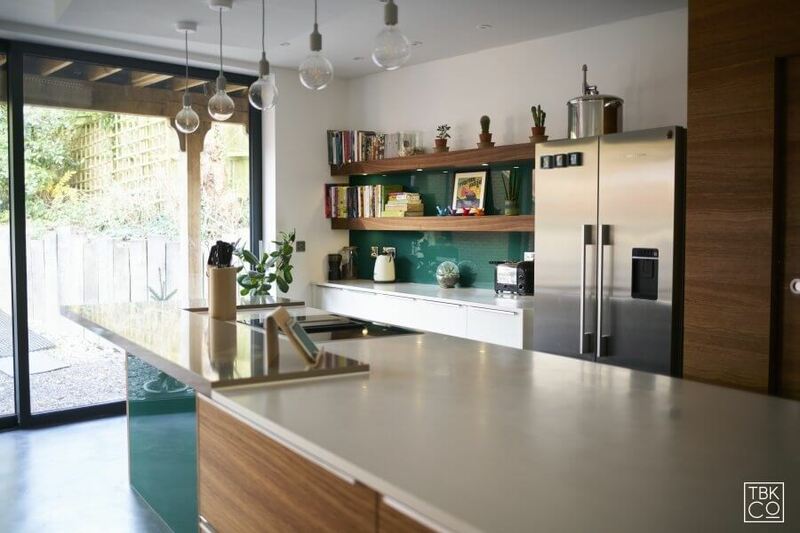 We love this stylish kitchen with green glass accents in Brighton, East Sussex. 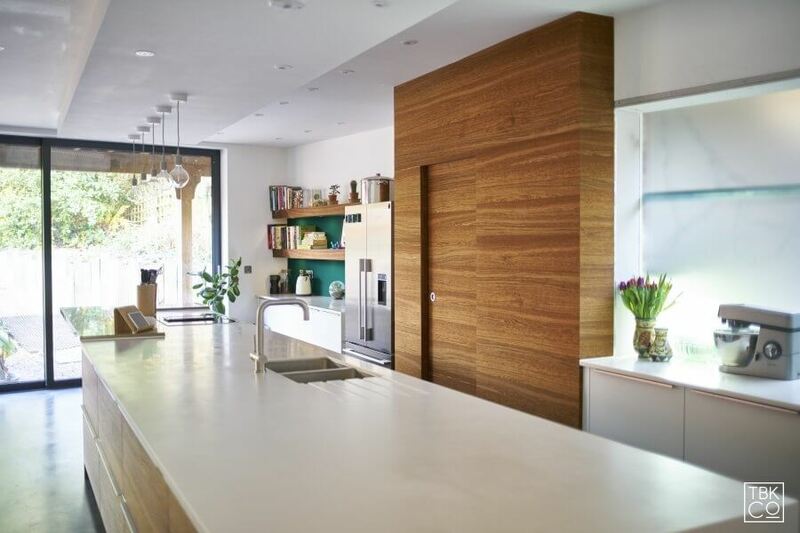 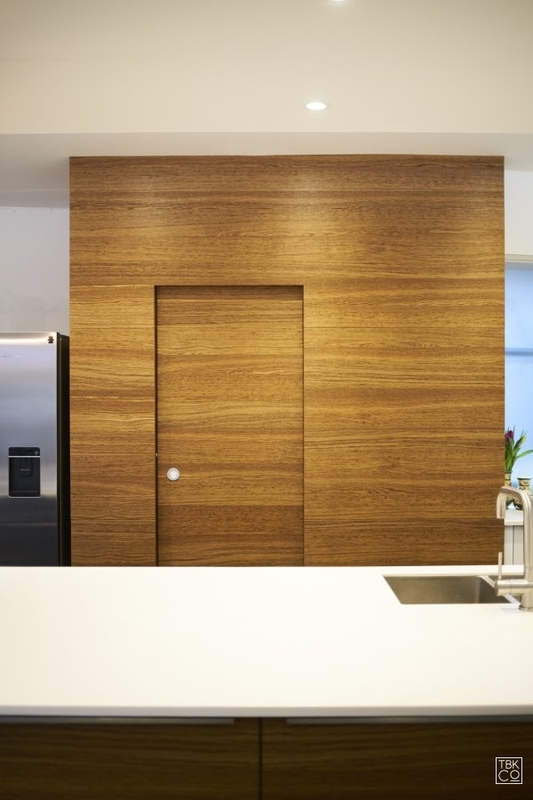 The combination of Oak Veneer and Matt Finish doors gives a contemporary warmth to a large kitchen extension. 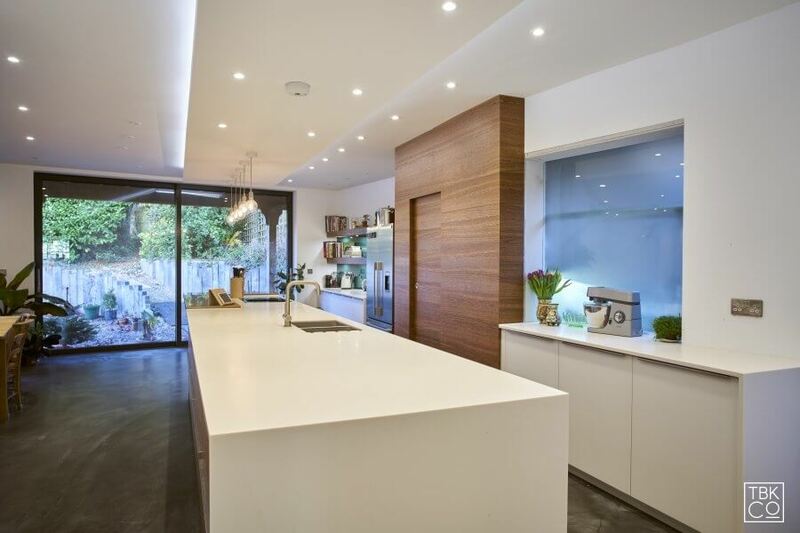 This is by far the longest island the Brighton Kitchen Company have ever made at 5.7m. 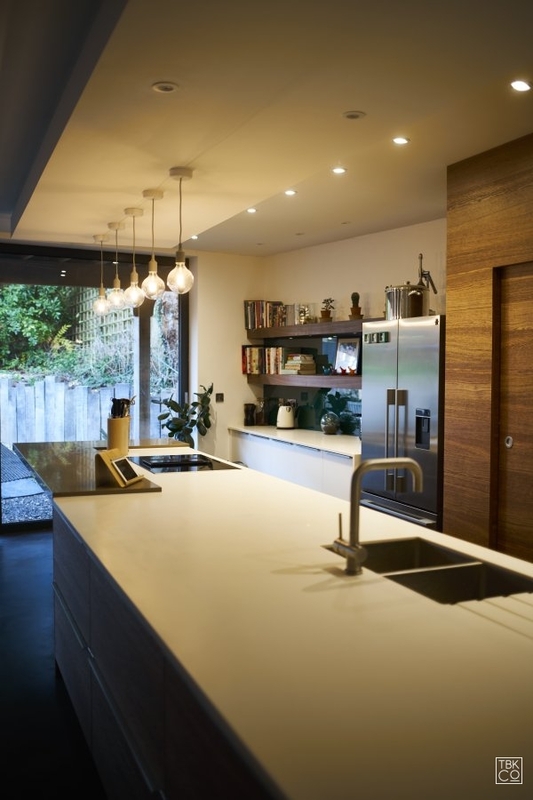 Using white Corian worktops has enabled us to create a seamless finish. 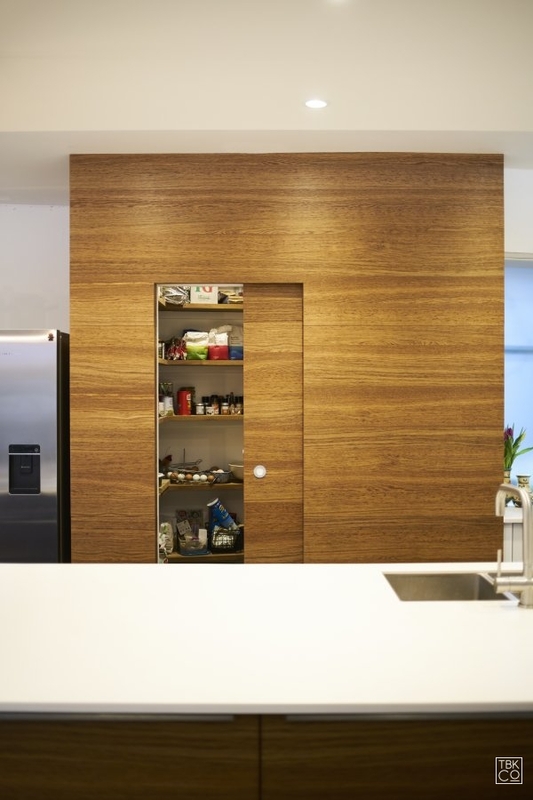 The walk in pantry with book matched veneer and matching pocket door becomes a design feature and the factory finished mitred corner cladding, although difficult to specify, has produced a truly bespoke finish. 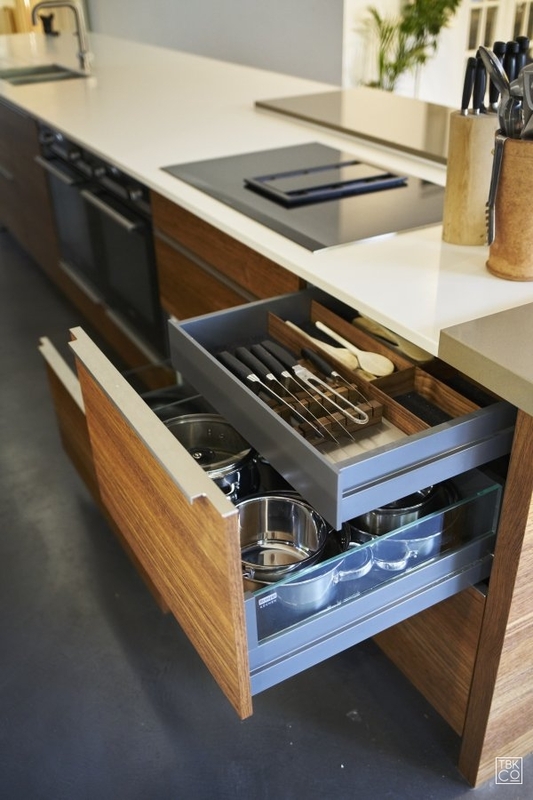 Our amazing bespoke German kitchen supplier has also produced matching shelving with integrated lighting to complement the overall scheme. 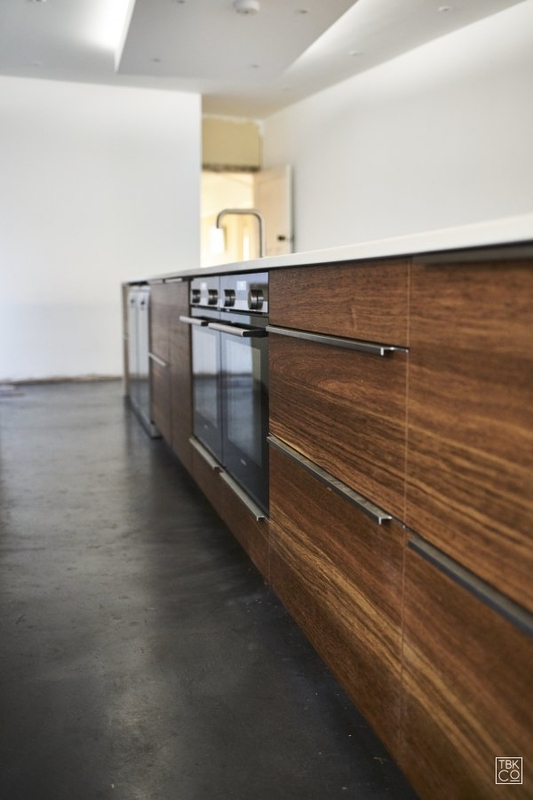 We have also included a brown quartz breakfast bar for those lazy morning coffees.